My interest in this question arises from a somewhat unusual academic path. I began my career as an evolutionary biologist, with an interest in gene-environment interactions (what philosophers typically refer to as nature-nurture questions). I pursued both empirical and theoretical research in that field for about a quarter of a century, and then decided that I needed to do something different. Armed with a freshly acquired degree in philosophy and a published thesis in philosophy of science (Pigliucci and Kaplan 2006) I eventually landed a job as a full time philosopher. And then the trouble began. I quickly learned — though it should have come as no surprise, really — that philosophers are an unusual bunch of academics, at least compared to scientists. 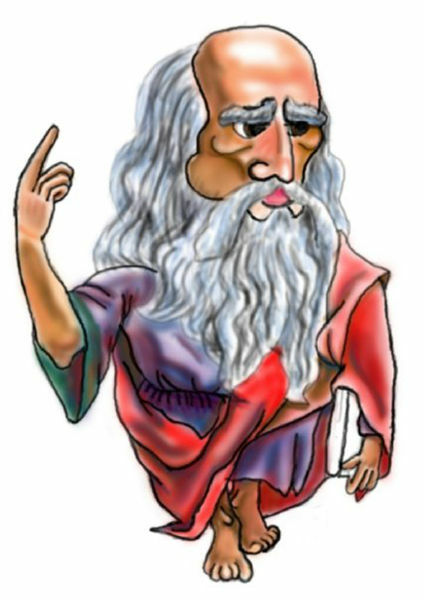 Philosophers are overly prone to question the very foundations and utility of their own discipline, in some cases (as we shall see) even going as far as agreeing with some scientists who have a bit too hastily declared philosophy dead or useless (often, precisely on the alleged ground that it doesn’t make progress, or at least not the sort of progress a scientist expects). Add to this that philosophy has of late developed a significant PR problem, as we have just seen, both with the public at large and with other academics (again, particularly scientists), and we have the recipe for a generalized crisis within one of the oldest fields of inquiry that has ever occupied human minds. I think much of this trouble is based on common misunderstandings about what philosophy is and how it works, and that it can (and ought) to be corrected, particularly, of course, by its own practitioners. Before getting any further, however, we need to address the question that we postponed from the previous chapter: what is philosophy? Again, this is the sort of thing that only philosophers indulge in asking, while practitioners of other disciplines are more than happy to go about their business without too much self-referential pondering (they would probably say without “wasting too much time”). Indeed, the whole field of metaphilosophy is dedicated to how philosophy itself works and, by implication at least, to what philosophical investigations consist of. It is not easy to catch philosophers on record — especially in peer reviewed publications — freely musing about how to best characterize their field. But we live in a world in which even philosophers are getting used to social media, podcasts and blogs, and it turns out that such outlets are friendlier to our quest. So for instance, Popova (2012) collected a variety of responses to the question “What is Philosophy?” from a number of prominent contemporary practitioners, and some of the answers are illuminating. Obviously, the above survey is entirely informal and biased in a number of ways (particularly toward Western philosophers, many close to the so-called analytic tradition — more on this below), but then again, there does not seem to be much call for social science inquiries into the thought patterns of philosophers (with the exception of some “experimental philosophy,” to which we’ll get in due time). Still, when I read the above and other definitions included in Popova’s informal survey I actually felt encouraged. Despite the tendency to exaggerate differences, there are obvious threads emerging from the opinions of the various philosophers interviewed. Indeed, the above is essentially a summary of what I — naively — thought of philosophy before approaching the field professionally: it is about reason, logic, arguments and analysis, not empirical evidence per se, though of course it better be informed by the best of what we know of how the world works, particularly from science; it is about examining common notions and discovering that they are more complex than often thought, or perhaps even arriving at the conclusion that they are incoherent; it is about the kind of broad thinking that helps us understand our reality as human beings in the vast universe described by science; and it has practical consequences for how we conduct our lives and structure our societies. In a sense, then, philosophy is a family resemblance, or cluster, concept, in the way Wittgenstein (1953, #65-69) thought many interesting human concepts are (including, as we have seen in the Introduction, the concept of progress!). But, the properly skeptical philosopher may argue, there is a lot more to philosophy, and many more ways of philosophizing, than the little summary above hints at. In fact, even the inherent flexibility of a Wittgensteinian cluster concept may seem inadequate once we consider the differences between, say, analytic and continental philosophy, the two major “modes” in which the profession has split itself throughout the 20th century. This split, incidentally, has been questioned and downplayed of late, and it has always been far less sharp than often assumed. Nonetheless, there are important differences of style and subject matter between philosophers who express themselves within those two modes of inquiry, so I retain and discuss that distinction below. And then there is, of course, the difference between Western style, Greek-descended, philosophy and Eastern philosophies, which are in themselves incredibly diverse, with Indian, Chinese, Japanese and other traditions branching off each other, and yet overlapping among themselves and with the traditions of the West. Not to mention Islamic philosophy, African philosophy, etc. The list goes on. This objection is to some extent appropriate, and the rest of this chapter is my way of dealing with it. I will argue in the following that my project needs to be limited to Western philosophy as classically understood, as well as to any tradition — be it internal to the West but of a “continental” flavor, or be it external, Eastern, Islamic or African — that sufficiently resembles it. This is not a value judgment, but a simple recognition of the fact that some of the activities that go under the broader aegis of “philosophy” are intellectual enterprises of a different enough nature that they need to be considered in their own right, and possibly be attributed a different name (being that the term φιλοσοφία originally used by the Greeks is already taken). Figure 1. 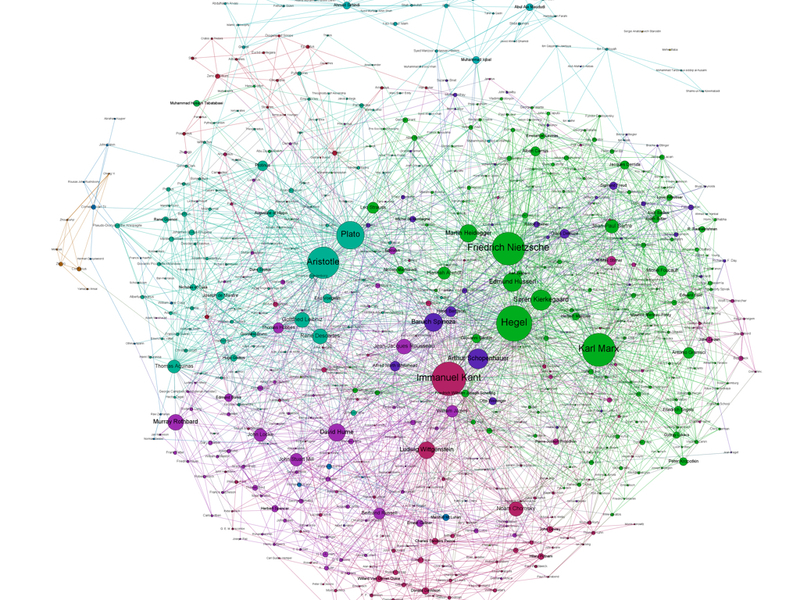 A broad scale map of the reciprocal influences among major Western philosophers. 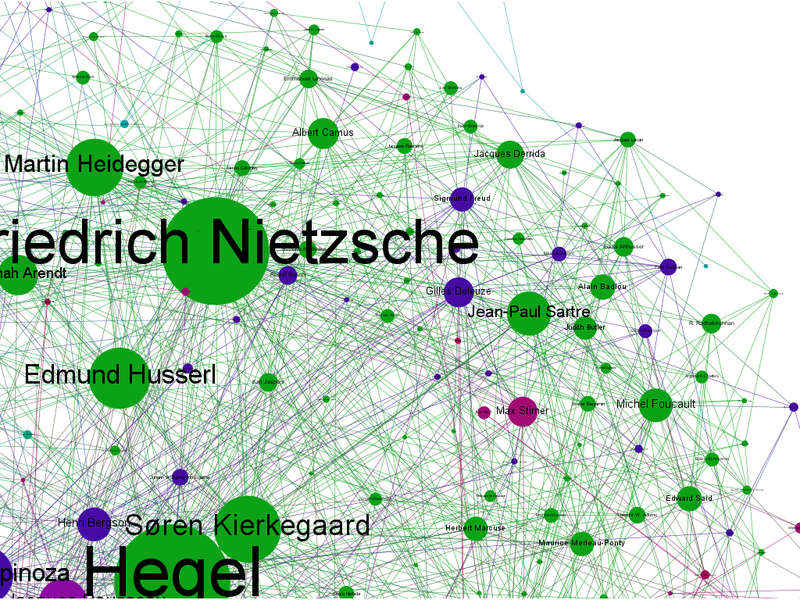 Figure 2 is a close up of the continental tradition, where Hegel and Nietzsche loom largest, followed in importance (as measured, remember, by the number of connections to others — no intrinsic value judgment is implied here) by Kierkegaard, Husserl, Heidegger, Sartre, and Arendt and, to a lesser extent, by Foucault, Derrida and others. Figure 2. Portion of figure 1, zooming in onto some continental philosophers. Finally, Figure 3 shows the area of the connectogram occupied by British empiricism, American pragmatism, and the modern analytical tradition. 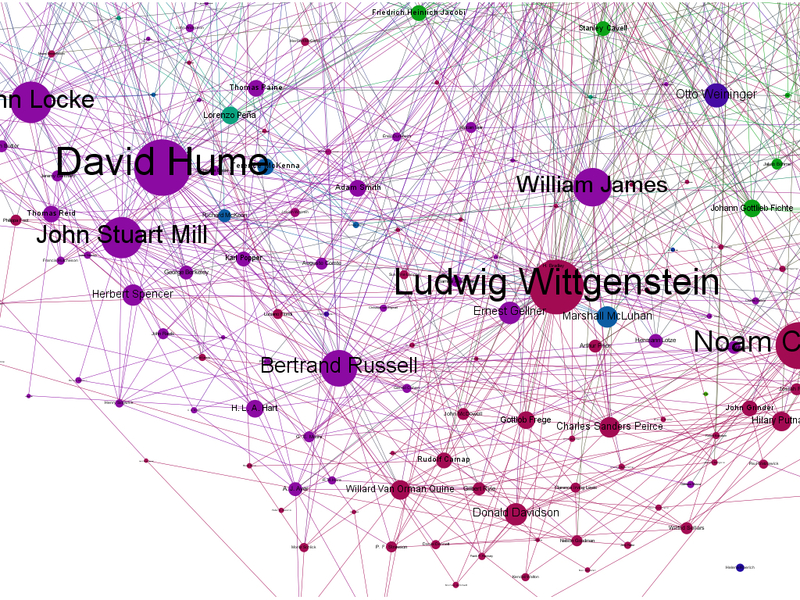 Here we clearly see the towering influence of Hume and Wittgenstein mentioned above, followed by figures like Locke, Mill, Russell, James and, interestingly, Chomsky. Figure 3. Portion of figure 1 zooming in onto some analytical philosophers. With this bird’s eye view in mind, let us now turn to a more traditional, peer-opinion based, discussion of the different ways of doing philosophy and how they may or may not constitute a coherent body (as I mentioned above, I do not think they do, which is why for the rest of the book I will limit myself to a subset of that larger set). It should go without saying it, but I hope the reader is not expecting an in-depth treatment of either the analytical-continental divide or, much less, of the differences between Western and Eastern philosophies (and I am not even touching the Islamic and African traditions, with which I am unfortunately much less familiar. I hope someone else will take up that task). Each one of those endeavors, to be conducted properly, would require a book-length treatment in its own right. In this chapter, and really throughout the book, I will instead trade in-depth analysis for a broad perspective, with all the advantages and pitfalls that such a strategic decision usually implies. End of the necessary apologia. Of course, it would be perfectly legitimate to claim logic as a branch of philosophy, show that the former makes progress and therefore claim that philosophy does too. But that would be too easy, and I prefer challenging propositions. I can see some of my esteemed colleagues rolling their eyes at the very mention of Wikipedia. Relax. First, the available empirical evidence is actually that — at least as far as science entries are concerned (and there is little reason to think that philosophical ones are different) — Wikipedia is about as accurate as the Encyclopedia Britannica (Giles 2005). Second, the data I am about to present is merely meant as illustrative of the possibilities, as such a study could be replicated using more scholarly sources, such as the Stanford Encyclopedia of Philosophy. I recognize that the terms “proto-continental” and “proto-analytical” are not part of the standard philosophical jargon. Consider them my modest contribution to the debate. I am confident that my fellow philosophers will recognize immediately why certain figures do indeed belong to those (albeit fuzzy) categories. Giles, J. (2005) Internet encyclopaedias go head to head. Nature 438:900-901. Pigliucci, M. and Kaplan, J. (2006) Making Sense of Evolution: The Conceptual Foundations of Evolutionary Biology. University of Chicago Press. Popova, M. (2012) What is Philosophy? An Omnibus of Definitions from Prominent Philosophers (accessed on 26 June 2012). Wittgenstein, L. (1953 / 2009) Philosophical Investigations. Wiley-Blackwell. This entry was posted in Nature of Philosophy on April 18, 2016 by Massimo. When it comes to the sociology of western philosophy, I have to admit that I’m very much an outsider. As a younger child in a large family, I was more of a runaway, than a student and I found the pop philosophers of the day much more useful for clear, concise insight. The Alan Watts, Fritjof Capra, Richard Bach style of expression. While the more academically popular seemed to have a much higher ratio of existential handwringing, to useful insight. I’ve come to see this basic insight, that what limits us, also defines us, at least from my point of view, to explain much of reality. That life is organic energy pushing up and out, while physical, cultural and civil mores push back, giving form to the energy and extending this out to galaxies being cycles of radiation pushing out, as mass/gravity pulls in. And so everything in-between, from time being energy mutating to new forms, as the forms come and go, to the mind being the interaction of consciousness with the thought arising from it, as expressions of this basic relationship. So possibly the discussion might go in the direction of who we personally found to be our strongest influences and the ideas we gained from them. …the self-image of analytic philosophy is scientific rather than humanistic. If one aspires to be a science (even if what one actually writes is closer to science fiction), then being different from the humanities will seem a positive virtue. I’m pretty sure there would be a philosophy/humanities index like the science ones. Unfortunately, these get used in tenure decision resulting in an emphasis on quantity rather than quality. If philosophy hasn’t gotten one they be well advised to keep it that way. Russian theorist are notorious for trying to get experimental physicist to cite there work even when it is only tangentially related and we are writing up a specific experiment not a review paper. We’ve been known to stick ’em in just to shut them up. I don’t think Massimo takes it that seriously. It makes his point about rough groupings. Likely only the strongest nodes are meaningful. I thought I’d use this as a hook to explain my previous statement about western philosophy involving a large amount of handwringing. In that handwringing is just handwaving, but at a faster pace. The problem philosophy faces is there are often diametrically opposed points of view and when this gets to issues like morality, or free will versus determinism, meaning of life, etc., reconciling these different positions is like reconciling the fox and the chicken. So trying to synthesize some quantum super-position out of the thesis and the antithesis often does involve some blurring of the lines and the hand waving necessarily gets quite fast. It does seem the analytical side is more reductionistic and mechanistic, while the continental tries to be more wholistic and organic, thus more focus on literature as an organic expression of humanity. Yeah. My daughter went to see Eye in the Sky over the weekend. She said she cried her eyes out. Does ‘Eye in the Sky’ have something to do with Macbeth? Well it does have Helen Mirren in it, right? Yes. It does have to do with conflicting points of view. Certainly Lady Macbeth was convinced her’s was a viable course of action. See Spot, See Spot run. See Spot run and run. See Spot run in the house. See spot wet the rug. Those were the days. Before the Vietnam War even. Ambiguity was un-American.